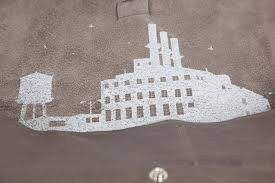 Designer Klaartje de Hartog makes practical leather accessories, to which she adds a fun designer element. 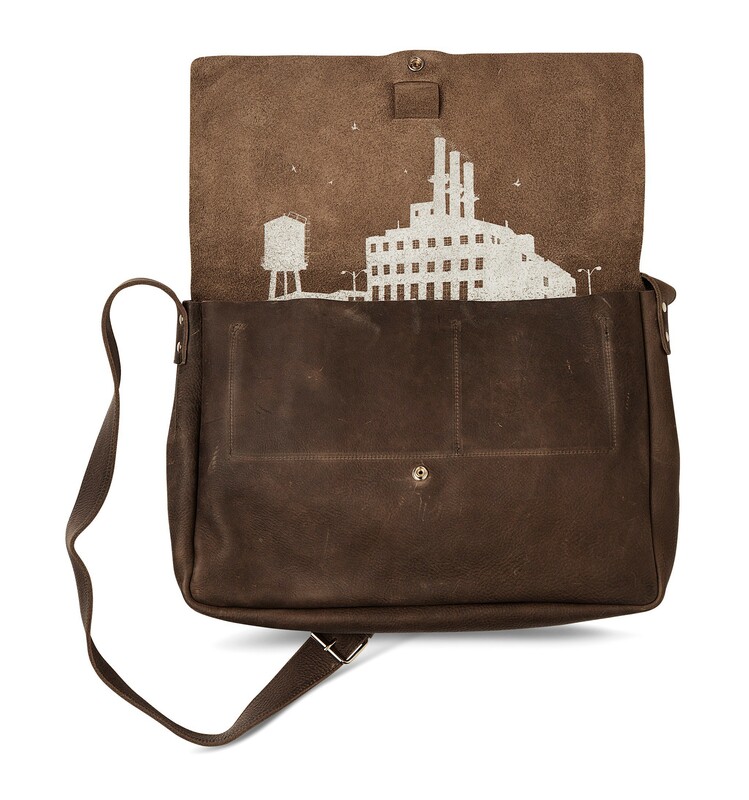 The inside of this Big Business laptop bag features a beautiful print of a factory There’s a good reason why this laptop bag is called Big Business. The Big Business is a sturdy and spacious laptop bag. 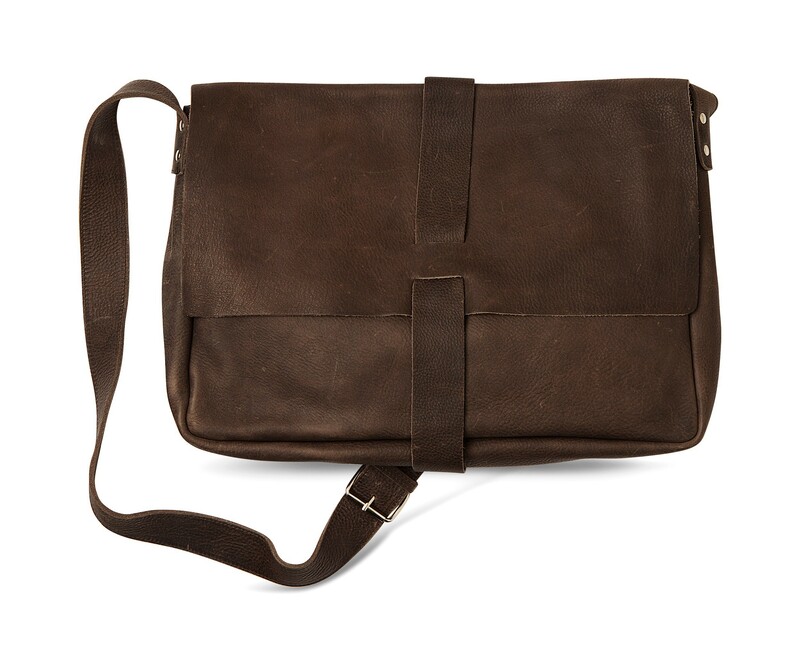 The bag is large enough to carry your MacBook, iPhone, head set, presentation documents, notepad, and wallet. A laptop bag meant for real business. 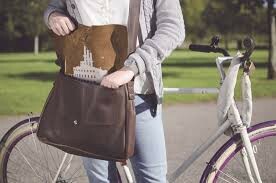 Designer Klaartje de Hartog makes practical leather accessories, to which she adds a fun designer element. The inside of this Big Business laptop bag features a beautiful print of a factor. There’s a good reason why this laptop bag is called Big Business. 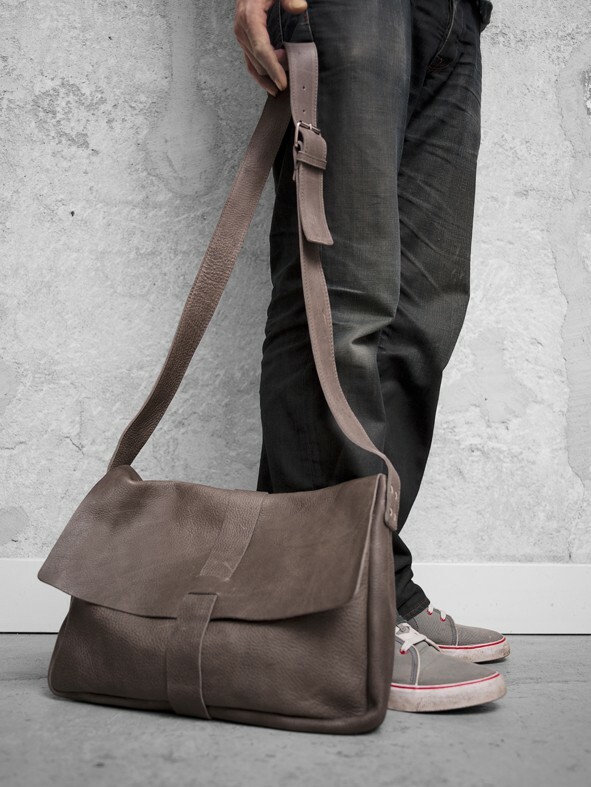 The Gray Brown Big Business laptop bag is made of sturdy leather and is 40 cm wide, 29 cm high, and 8 cm deep (when closed). 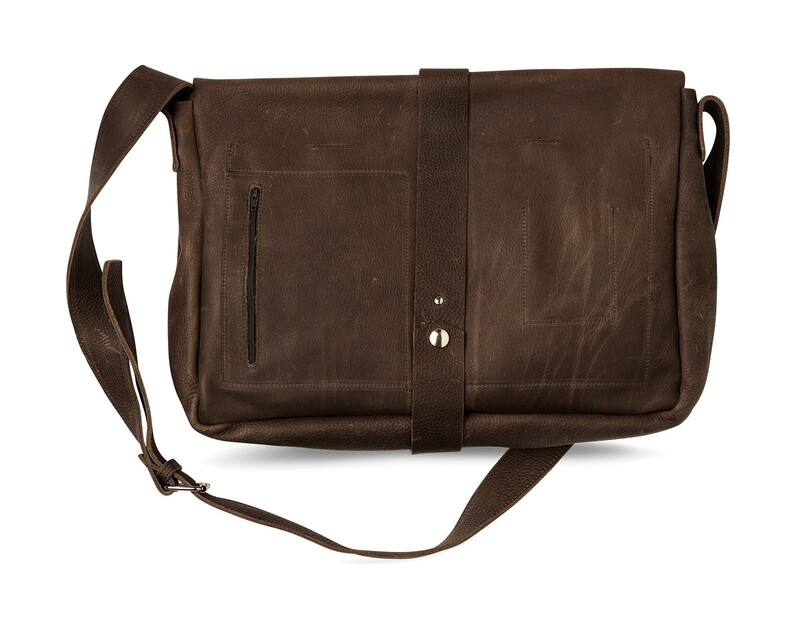 In addition to the large main compartment for your laptop, the bag has 2 additional storage compartments and 2 smaller pockets for pens, business cards, or debit cards. The back of the bag has a pocket with a zipper. Here you can store all the items you use frequently, such as your iPhone, wallet, keys to your car, or train ticket. 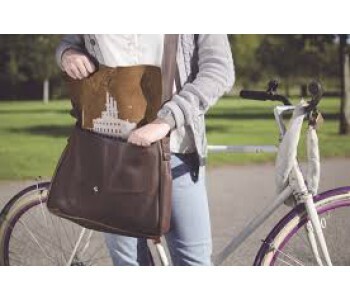 The bag has a sturdy adjustable shoulder strap.